I recently repurchased it though my Revlon touch and glow compact is doing a great job. 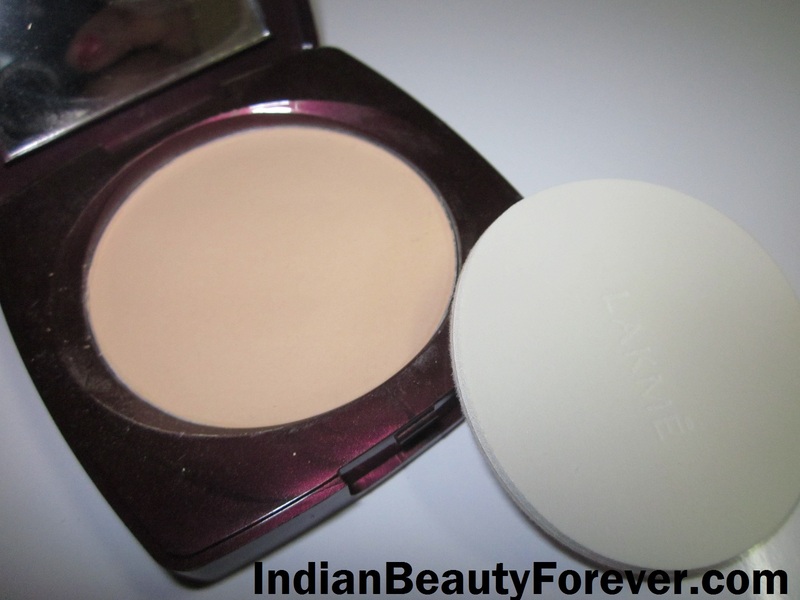 I purchased it, simply because I wanted to have it again.This Lakme compact is even cheaper than their perfect radiance compact, which is really popular when it comes to budget makeup. It costs 104 INR. It contains 9gms of product in the pan and has a shelf life of 36 months. 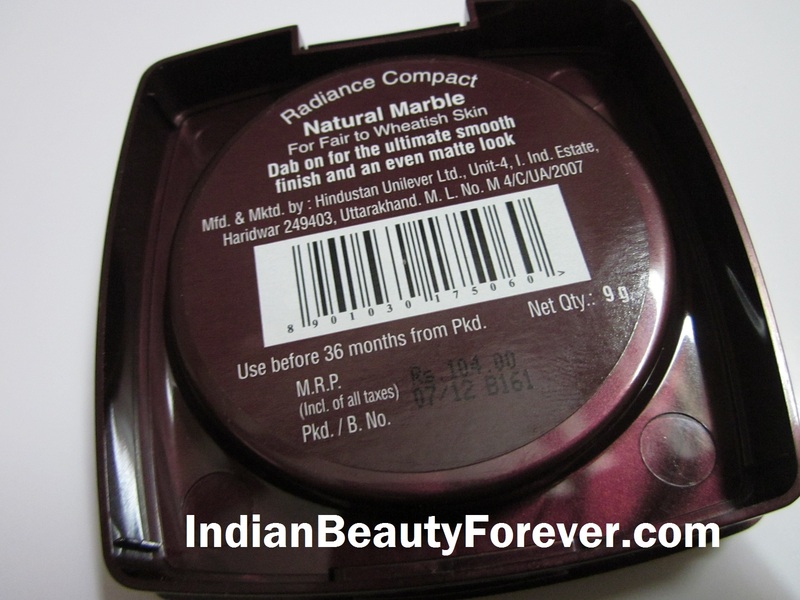 I have this shade natural marble which is meant for fair to wheatish skin but I think it is more for the fair skin. 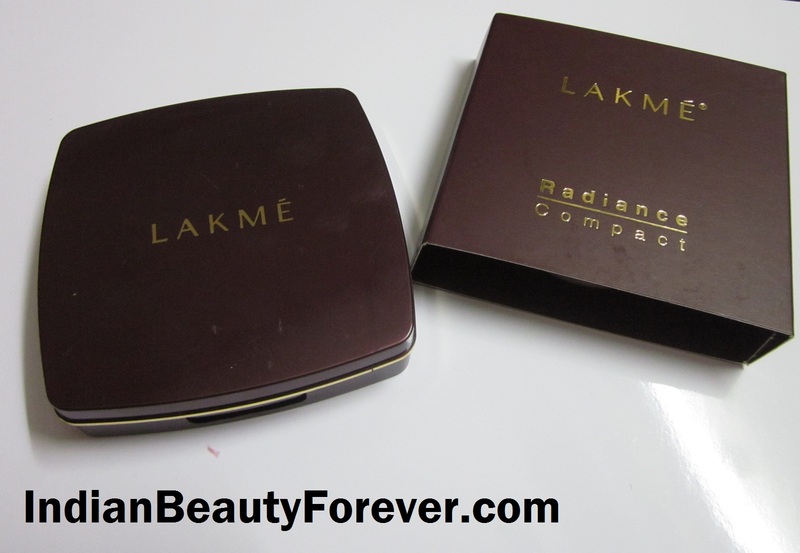 This Lakme Radiance compact comes in their regular brownish maroon packaging with an inbuilt mirror, a sponge powder puff. The packaging has been changed a little bit as compared to the older ones. The actual product is a bit chalky, the powder I mean. 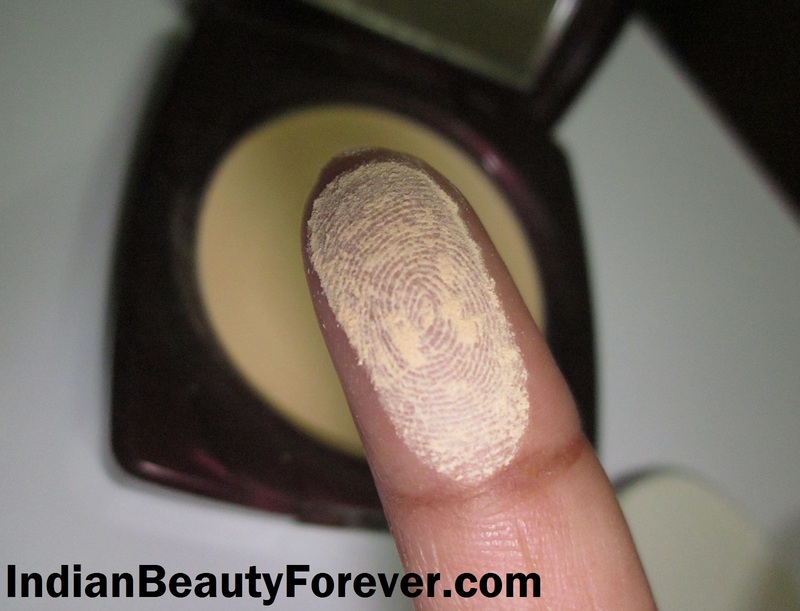 But when applied on the skin, it doesn’t look cakey, chalky, just blends in the skin. This shade matches my skin tone perfectly and helps making my skin matte. 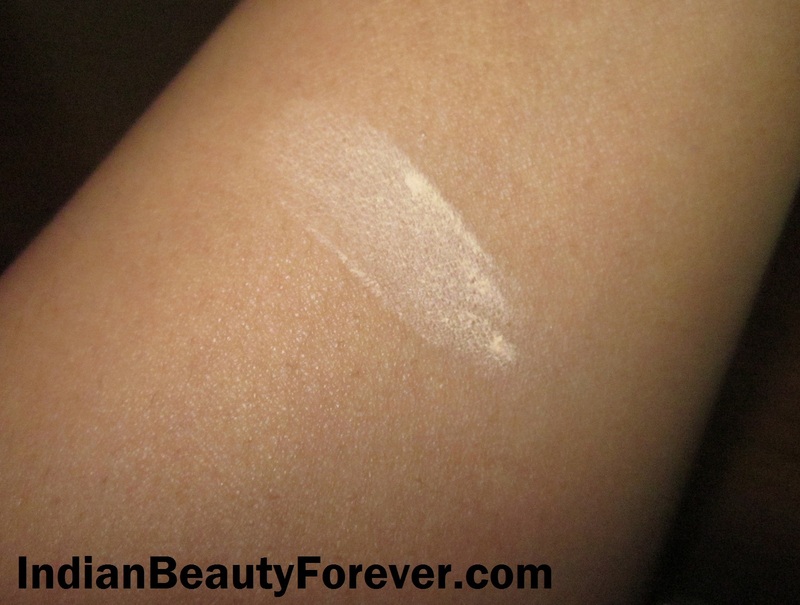 You can see the swatch below, when blended it doesn’t feel chalky. It’s really good for the oily to combination skin but not for dry skin as I think compact are to mattify the skin and for dry skin they aren’t that necessary. Let me know what you think. Good for people looking for makeup on budget. Only 3 shades to choose from. I haven’t seen a shade that can suit the duskier skin tones, in this range. These were the only cons/pros that I could think of about this compact. It is so inexpensive and does a good job that I could not judge where it lacks. For me, it did a good job so far! My take: If you are looking for an inexpensive compact that does a decent job in absorbing the oils and keeps your skin matte, then this is for you. Looks nice, I use the Clinique powder, but it doesn't cover much, so I just wait till I'll finish it to buy a new one that will give more coverage. Thank u Meghu. :) Its good for the price! Thank u Gow. :) I can understand that dear! Yeah... this was one of the first ones I used too. Thank u Nilu. :) its a product that does a good job and at the price it comes at makes it a decent compact! I know, I don't know why brands do that even Revlon didn't have the full list, only the key ingredients I guess. Thank u Lance:) No dear, Its for medium to fair skin! This is how I used to use it too. :) I have used only blue heaven mascara ages ago! that was fine! This looks great! I really want to try Rimmel's Pressed Matte Powder too!